The biggest event on the Manhattan social diary is currently underway, but what exactly is the Met Gala? Simply put: New York City’s famed Metropolitan Museum of Art hosts an annual fundraiser for its Costume Institute. It is attended by luminaries from the intersecting power circles of fashion, Hollywood, music, Wall Street, Washington D.C., Silicon Valley and even sports. The annual Costume Institute exhibit is curated by Andrew Bolton, and watched over with an iron clutch by Vogue editor and Conde Nast creative director Anna Wintour. This year’s theme is “Heavenly Bodies: Fashion and the Catholic Imagination,” and the star-filled event is hosted by Rihanna, Amal Clooney, Donatella Versace, Wintour, and Stephen and Christine Schwartzman. Yes, the Met Gala is a fundraiser held the first Monday of every May. But it’s so much more. Over the years, the event has morphed from a $100 ticket in 1960 to a $13.5 million cash grab in 2016, Forbes reported this week. Tables run $275,000 for a given brand, with individual tickets reportedly going for roughly $30,000. Celebrities of all walks gather at the event, where the museum stairs are draped in luxurious carpet and lush floral displays decorate the iconic museum. Not all who attend have to shell out the steep entry price. Designers and brands will often buy entire tables and invite bold names as their guests, who in turn wear their goods on the red carpet. Speaking of which, the two-hour red carpet leading up to the event has become a must-see in recent years — garnering the kind of groundswell and attention usually reserved for the Academy Awards. 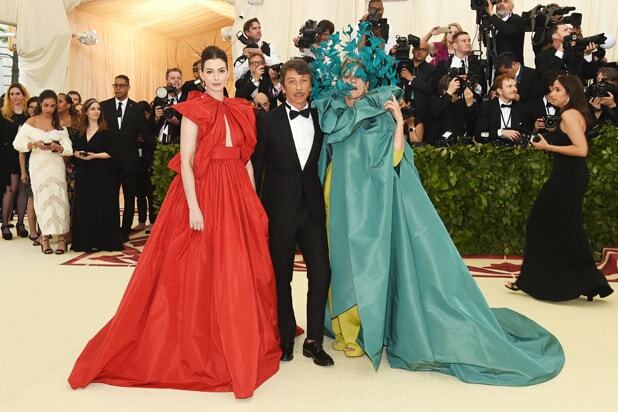 Events like these justify the validity of FOMO (fear of missing out), but rest assured — sometimes things don’t go according to plan, even at the Met Gala. But hopefully no one ever tries to rob it, as portrayed in the upcoming “Ocean’s 8” movie. The stars were out for the Super Bowl of Manhattan social events, the annual Met Gala benefiting the museum's Costume Institute.